SpaceX on Saturday successfully completed the Static Fire Test for the company’s next mission out of Vandenberg Air Force Base which, by on several counts, will be an unusual flight of the Falcon 9 rocket. Targeting an August 24 launch date, Falcon 9 will be tasked with lifting the FormoSat-5 Earth Observation Satellite for Taiwan’s National Space Organization. The mission is unusual in that it carries a particularly light payload and comes at a net financial loss for SpaceX, representing a leftover contract from the abandoned Falcon 1e program. FormoSat-5, weighing in at 475 Kilograms, requires only one-twentieth of Falcon 9’s performance to the target 720-Kilometer orbit and only fills out a small fraction of the standard Falcon 9 payload fairing, sized to fit the largest communications satellites. FormoSat-5 had a rather interesting road to the launch pad, starting development in 2005 as Taiwan’s first domestic-built satellite after earlier FormoSats were designed and built by outside contractors. 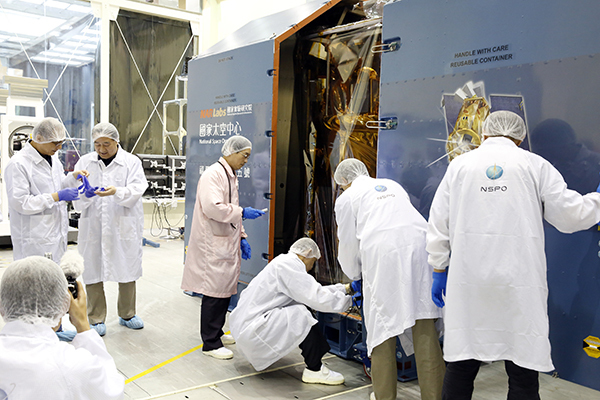 The project had the typical technical challenges faced when developing a space mission, causing its schedule to be revised several times. The National Space Organization (NSPO) signed with SpaceX in June 2010 for a launch on the company’s Falcon 1e rocket – a proposed upgrade of the Falcon 1 rocket with a higher-thrust Merlin 1C engine on the first stage, lengthened tanks to hold more propellant and an upgraded second stage. The FormoSat-5 launch contract value was reported as $23 million at the time. Falcon 1e, capable of lifting one metric ton into Low Earth Orbit, was expected to make its debut in 2011 and FormoSat was targeting liftoff in late 2013, but plans changed significantly when SpaceX withdrew Falcon 1e from the market and moved payloads to the much more powerful Falcon 9. This allowed a series of Orbcomm satellites that would have used individual rockets to be bundled for only a pair of Falcon 9 missions, but the stand-alone FormoSat project remained on its own for some time on SpaceX’s launch manifest. Due to payload-related delays, FormoSat’s launch date drifted from 2014 to 2015 and eventually 2016, giving SpaceX time to seek a co-passenger for the lightweight satellite. 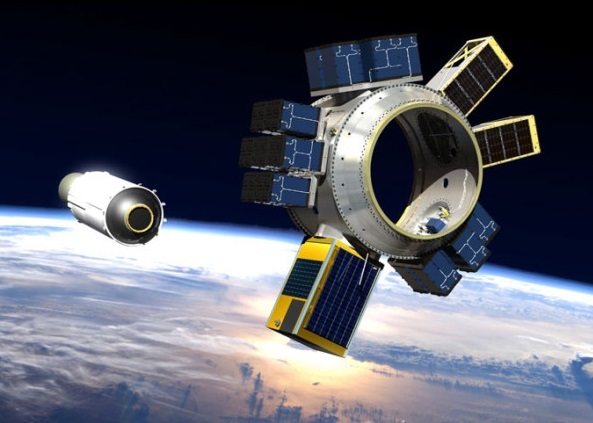 News emerged in the second half of 2015 that Seattle-based launch services broker & satellite builder Spaceflight Industries had signed up to ride with FormoSat, targeting this mission as the first launch of the company’s SHERPA space tug delivering some 90 small satellites and aiming for a lower injection orbit than FormoSat. Even with SHERPA, the flight was still going to be light with an expected payload mass of 1,700 Kilograms. FormoSat-5 concluded its pre-flight testing campaign in Taiwan in May 2016 and was ready to ship out for launch when reports surfaced that SpaceX had informed NSPO the mission would encounter a delay due to a range outage, taking a place in SpaceX’s launch queue behind the inaugural Iridium-NEXT launch, then planned for September 2016. The September 1st explosion of a Falcon 9 on its SLC-40 launch pad in Florida further knocked back schedules due to an extended grounding of the Falcon 9 rocket. 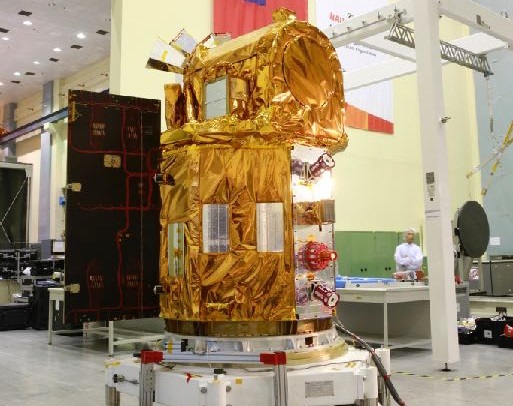 San Francisco-based Planet that had 56 payloads on SHERPA pulled out in November in favor of India’s PSLV that was able to provide a February 2017 launch opportunity. At the time of Falcon’s return to flight in January with the Iridium-1 mission, FormoSat had vanished from the near-term Vandenberg manifest due to launch vehicle availability. SpaceX’s focus after recovering from mishaps in 2015 and ’16 was to fly customers that were facing the most severe financial impacts or regulatory issues from staying on the ground, dealing with these critical missions – and the company’s obligations to NASA – first. SHERPA was de-manifested in February of this year and Spaceflight re-booked most of the flight’s customers on other rockets with clearer schedules. 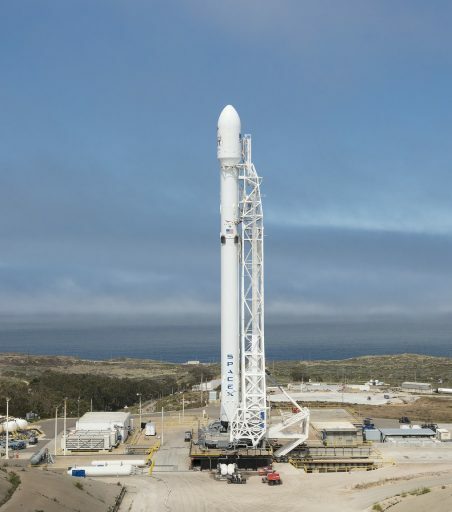 According to a report by Taipei Times, SpaceX was facing a financial penalty of 1.25% of the total FormoSat-5 launch contract value for each month of delays on their part with a cap at 10%, leaving SpaceX with around $20.7 million for this mission when the typical asking price is $62M for a standard Falcon 9 launch. Despite coming at a net loss for SpaceX, the contract signing at the time in 2010 represented important business that helped the company over initial struggles with Falcon 1 and on to bigger things. Riding solo, FormoSat-5 will be the lightest payload launched by Falcon 9. The vehicle’s potential performance numbers illustrate the colossal waste of rocket performance that will be transpiring on Thursday: according to NASA’s Launch Services Program, Falcon 9 FT could deliver 7,900 Kilograms into the required orbit while keeping sufficient propellant for a Return-to-Launch-Site landing of the first stage, 10,955kg when using the Autonomous Spaceport Drone Ship deployed to the Pacific Ocean. Thursday’s planned launch will be 40th flight for the Falcon 9 rocket since its inauguration in 2010, the 12th of the year and the third Falcon 9 launch out of Vandenberg in 2017. It will be the fifth launch overall for Falcon 9 from its launch pad overlooking the Pacific Ocean. The FormoSat-5 mission will involve a Falcon 9 FT Block 3 first stage and Block 4 second stage – a combination that has been flying since May and will be replaced by all-Block 4 vehicles going forward (with the exception of Block 3 re-flights coming up later this year). 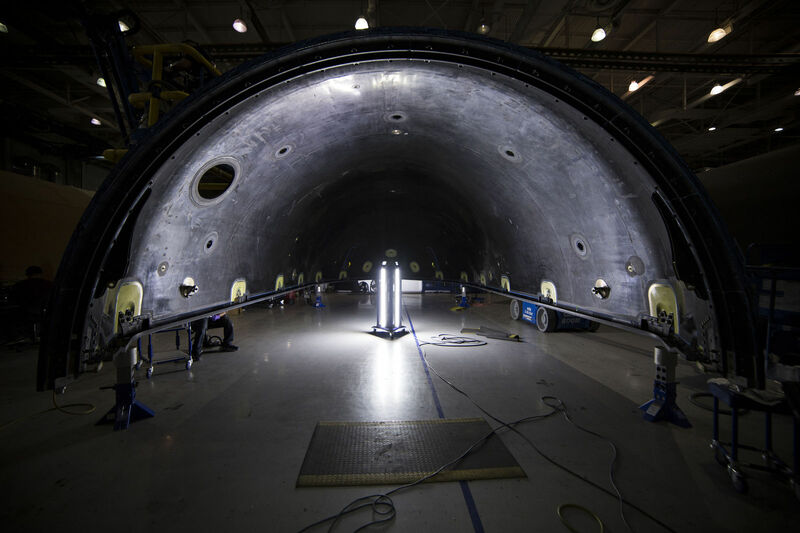 Block 5, the final iteration of Falcon 9, is expected to roll out in the not too-distant future to complete at least seven flights with a frozen design needed for crew certification under NASA’s requirements. 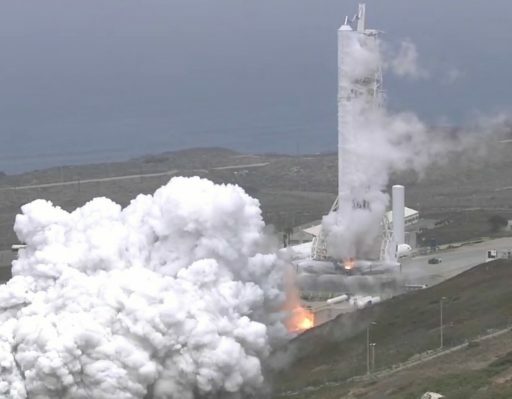 Pressing into the launch campaign for FormoSat, both stages of Falcon 9 traveled east from their manufacturing base in Hawthorne, California to undergo hot fire tests at SpaceX’s Texas test facility. Then, the stages were shipped back west to Vandenberg in mid-July for final processing and integration. 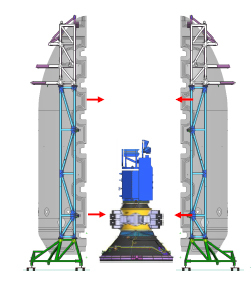 The vehicle was moved to the pad on Friday and went through a full propellant loading sequence on Saturday ahead of the brief ignition of the nine Merlin 1D engines on the first stage, typically aiming for a 3.5-second firing duration to allow all engines to come up to liftoff thrust. 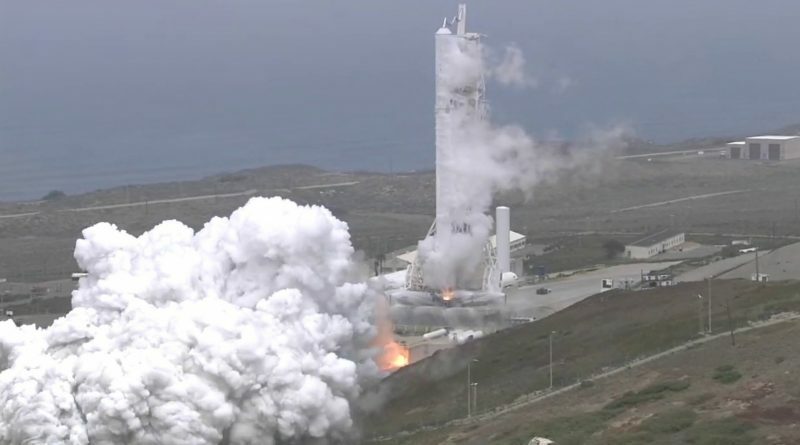 Saturday’s Static Fire Test occurred at 19 UTC, right at the opening of a multi-hour test window, indicating Falcon 9 enjoyed a smooth countdown with no hold-ups in its hour-long automated countdown and tanking sequence. After an initial quick review of data that confirmed all necessary performance parameters were captured, Falcon 9 went into de-tanking to return to the hangar next to the SLC-4E launch pad to meet its payload. Thursday’s launch window stretches from 18:50 to 19:34 UTC, though liftoff will target a near-instantaneous opportunity once committing to loading sub-cooled Liquid Oxygen and chilled Rocket Propellant 1 into the tanks. Given its very light load, this mission would be a prime candidate for SpaceX’s first Return-to-Launch-Site landing at the West Coast via a Falcon Landing Zone established at Space Launch Complex 4W just a few hundred meters from the SLC-4E launch pad. However, FCC documents filed in June show this mission will utilize the Autonomous Spaceport Drone Ship “Just Read The Instructions” for the powered landing of the first stage some 344 Kilometers south west of the launch pad. The exact reasons for opting for a more difficult ASDS landing are not clear – SpaceX appears to have finished construction of the landing pad and regulatory hurdles have been cleared via environmental impact assessments by the Federal Aviation Administration. Even with the ASDS landing, Falcon 9 will have much excess performance on its second stage – likely leaving it with plenty of surplus propellants after dropping FormoSat-5 off in a planned 720-Kilometer Sun Synchronous Orbit inclined 98.3 degrees. What SpaceX intends to do with the leftover rocket capacity – if anything – remains to be seen. In a similar but not as drastic case of surplus performance on the NROL-76 mission earlier this year, SpaceX demonstrated a multi-orbit coast phase before deorbiting the second stage as the company works toward long-coast capability for its second stage to support complex mission profiles like direct Geostationary Injections. It was strongly indicated that Thursday’s mission will feature an attempt to recover the rocket’s payload fairing halves as SpaceX pushes toward making more parts of Falcon 9 re-usable for further cost reduction. The fairing, 5.2 meters in diameter and 13.1 meters long, is a large composite structure that costs around $5 million and requires a lengthy manufacturing process that could become a bottle neck in the future as SpaceX continues to step up its launch pace from multiple launch sites. Thursday’s mission will likely feature a lofted trajectory, allowing the fairing to be separated relatively early in flight when the rocket’s velocity will not be as high as for a Geotransfer mission featuring a less-lofted design. This should create a more favorable entry environment to increase the odds of the fairing making an intact return.